(Quakertown PA) What a second half! William Tennent poured in forty-six points in the second half and defeated Palisades, 66-52, on Monday night to win the Quakertown Holiday Tournament. Led by Karlee Krchnavi (31 points), the Pirates of the Colonial League East had a ten-point lead (18-8) in the first quarter and still led by three (23-20) at halftime. But the Panthers (6-4) began running points together in the second quarter and after putting up ten unanswered points erased a 23-17 deficit two minutes into the third quarter. 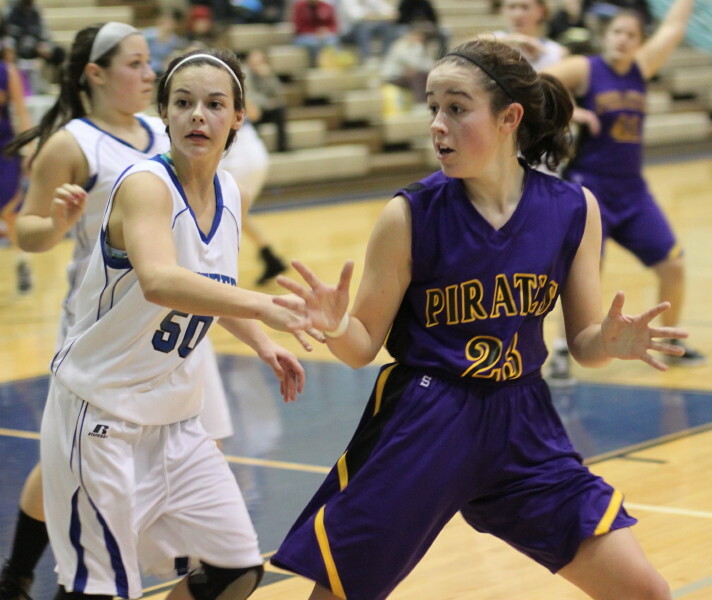 The Pirates (3-4) responded with a Karlee Krchnavi 3-pointer and two free throws by Lizzie Sessinger to regain the lead, 28-26, at 5:24 of the third period. Anyone’s game at this point. The next 3 1/2 minutes were all Tennent and it wasn’t just the fifteen-point run they put together. It was the defense on 5-11 Karlee Krchnavi that keyed the game-deciding separation. 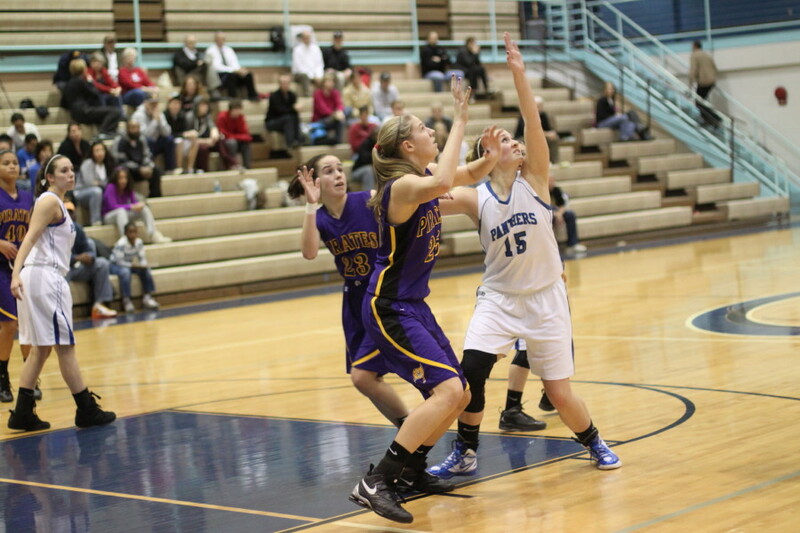 Several Panthers, led by Angie Pomponio, played denial defense on Karlee and it worked. 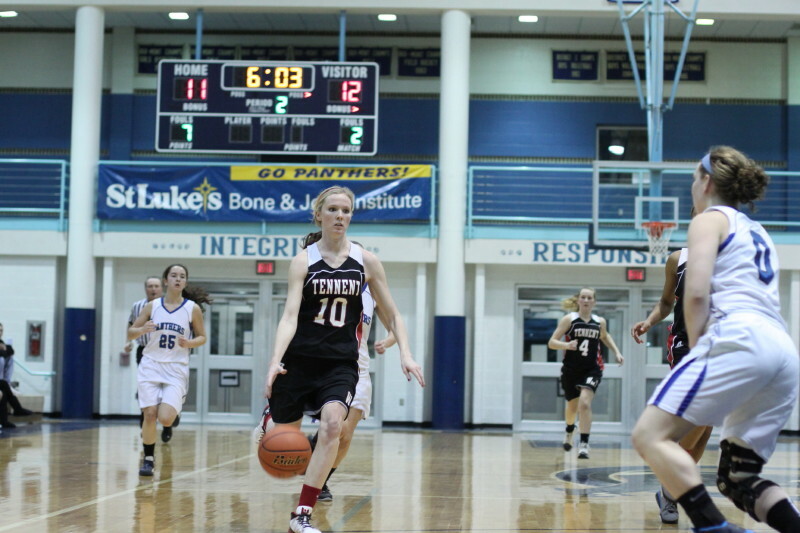 Karlee’s touches were limited while Tennent was able to turn Palisades pressure into good looks down the other end. 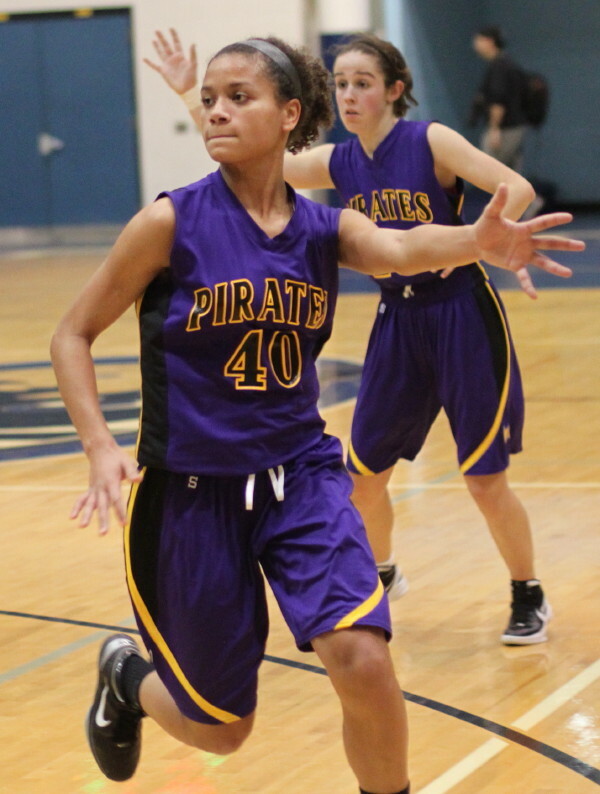 Angie Pomponio (23 points) paced the team from Warminster with two 3’s, and tightly defended drives to the hoop. Karlee did reject one of Angie’s drives to the basket. Kyla Gibson (20 points) tallied fourteen in the second half and was on the money end of several nice passes from Alyssa Christiansen. Kyla also connected on two 3’s. Three of Tennent’s six three’s came during the 15-point breakaway segment. 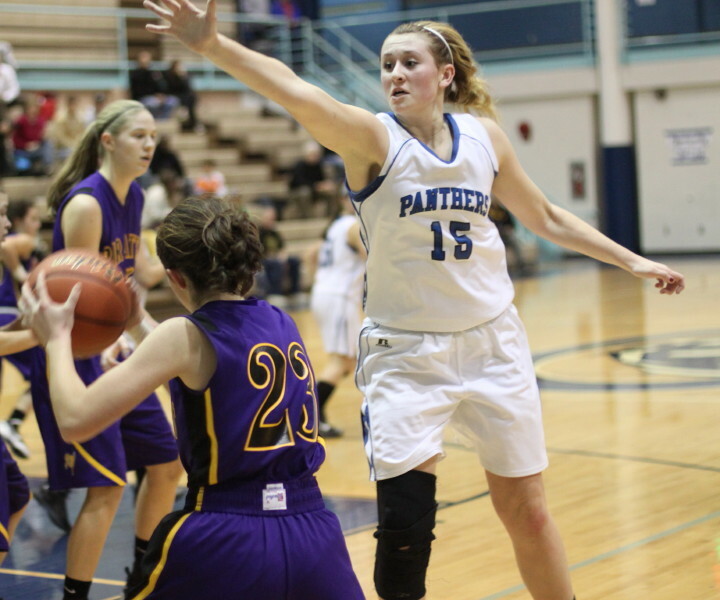 The Panthers from the Suburban One Conference finished the scoring surge up, 41-28, with two minutes left in the third quarter. The team from Kintnersville never recovered. 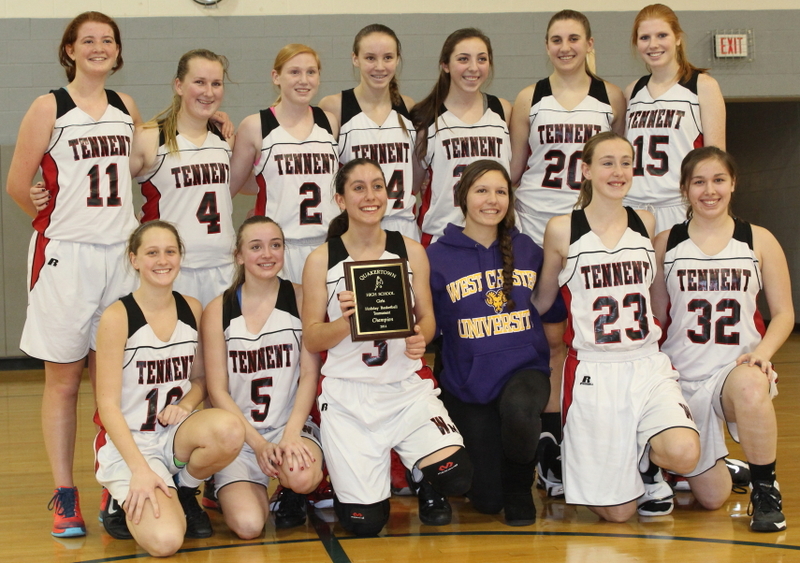 Karlee collected ten of her thirty-one points in the final four minutes of the game but the Panthers cashed 10-of-12 free throws in the end game to maintain separation and win the championship. 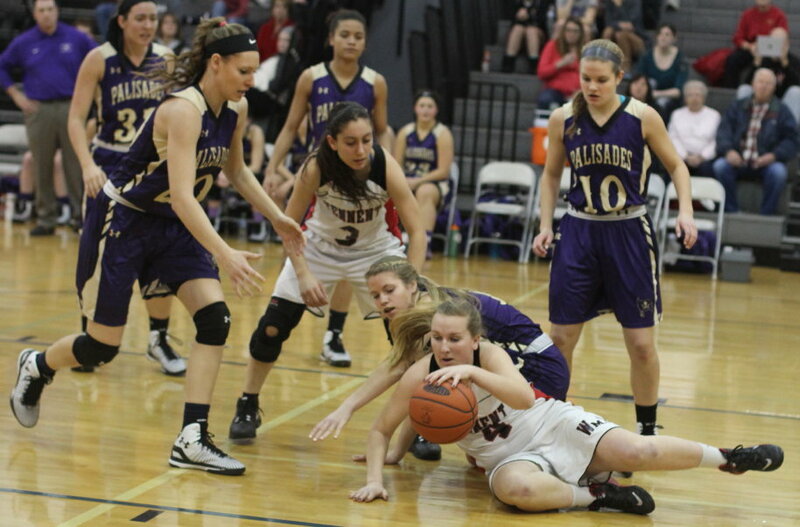 Angie Pomponio was injured early in the third quarter but returned later. 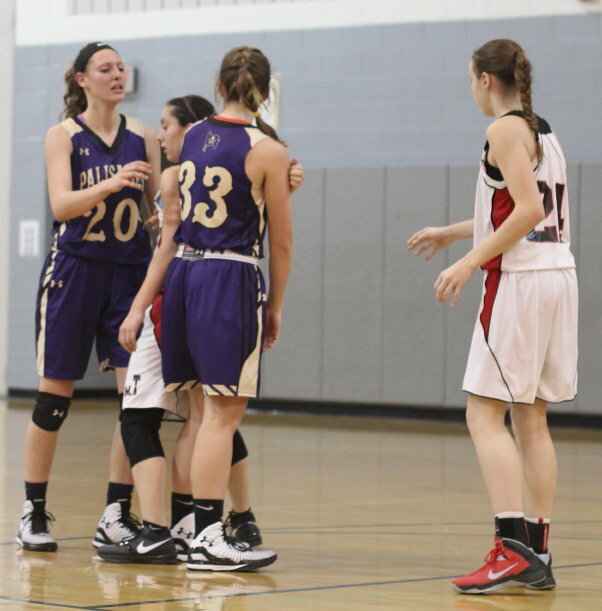 Both Alyssa Christiansen and Kyla Gibson fouled out. 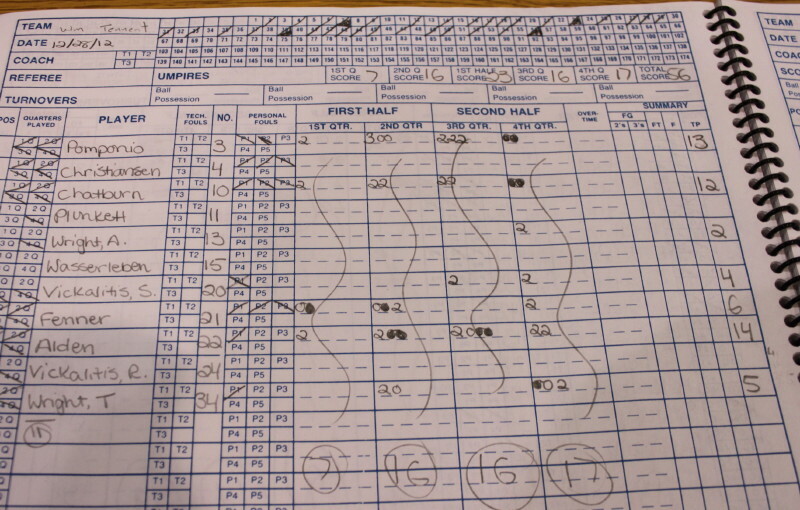 During the 15-point, game-decider PHS coach Dean Reiman pulled his five starters for a minute or so. 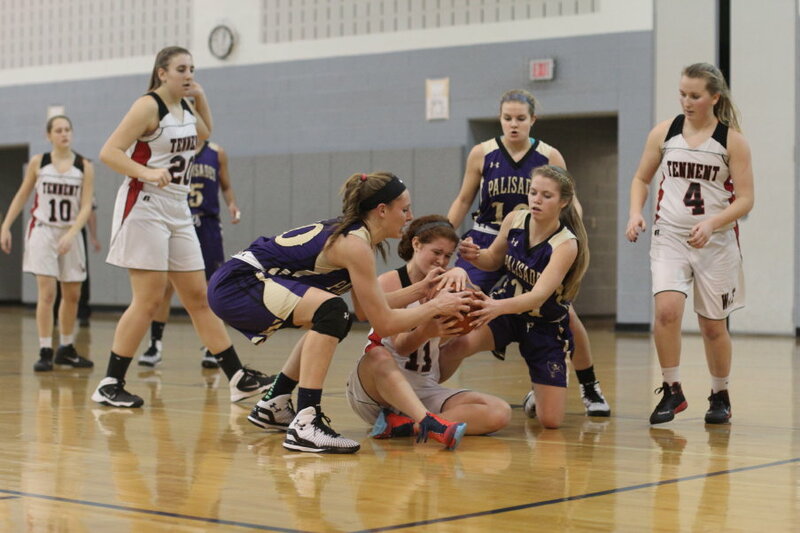 The game was played at the Strayer Middle School in Quakertown. 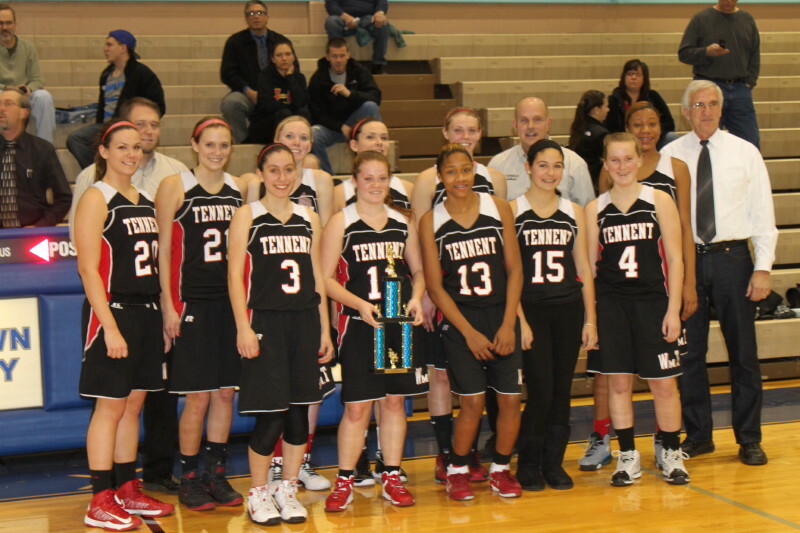 I saw Tennent defeat Quakertown for the title in 2012 and Palisades defeat Q’Town for the title in 2011. I believe Palisades won the title last year. 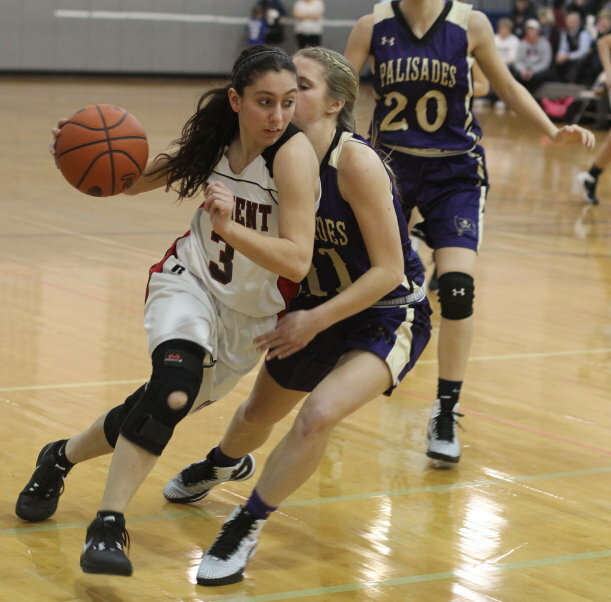 Unofficially, Tennent had sixteen turnovers while Palisades had twenty. 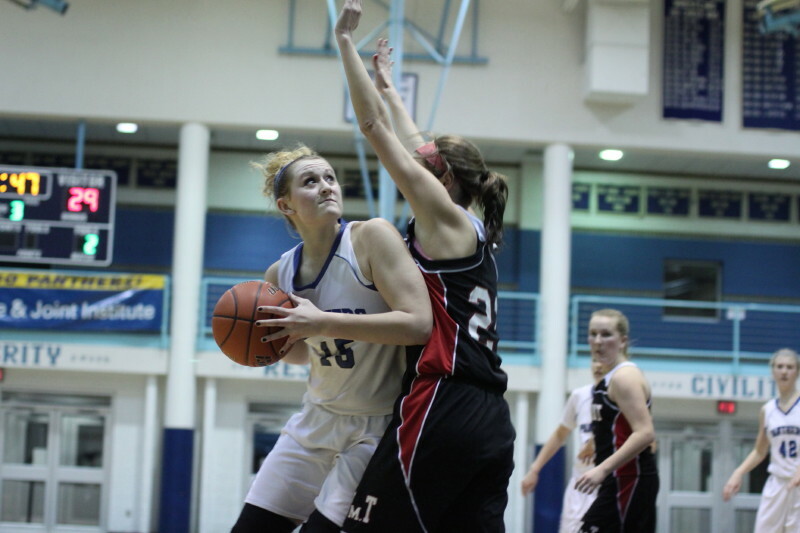 Karlee Krchnavi turned six rebounds into baskets. 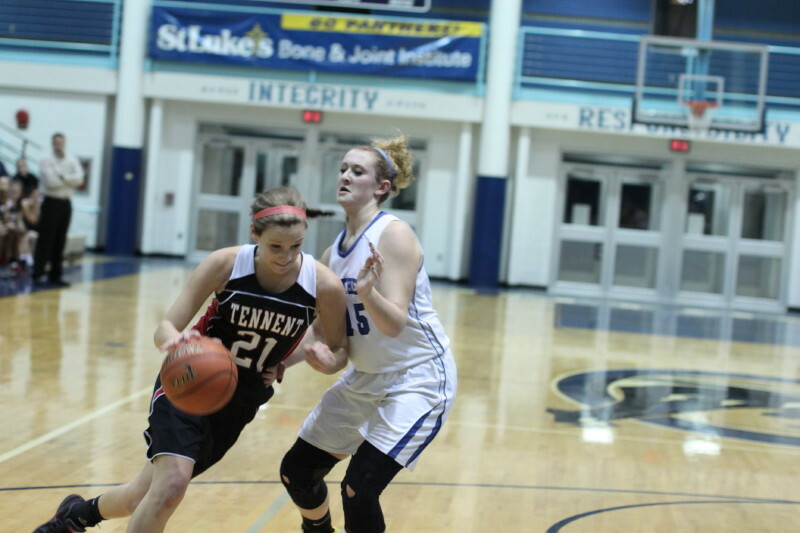 (Quakertown) William Tennent (6-2) pulled away from Quakertown in the second half and won the Quakertown Christmas Tournament, 56-31, on Friday night. Quakertown (2-6) trailed just 23-17 at the half but the visitors from Warminster put a 10-2 segment together in the first three minutes of the third quarter and never looked back. 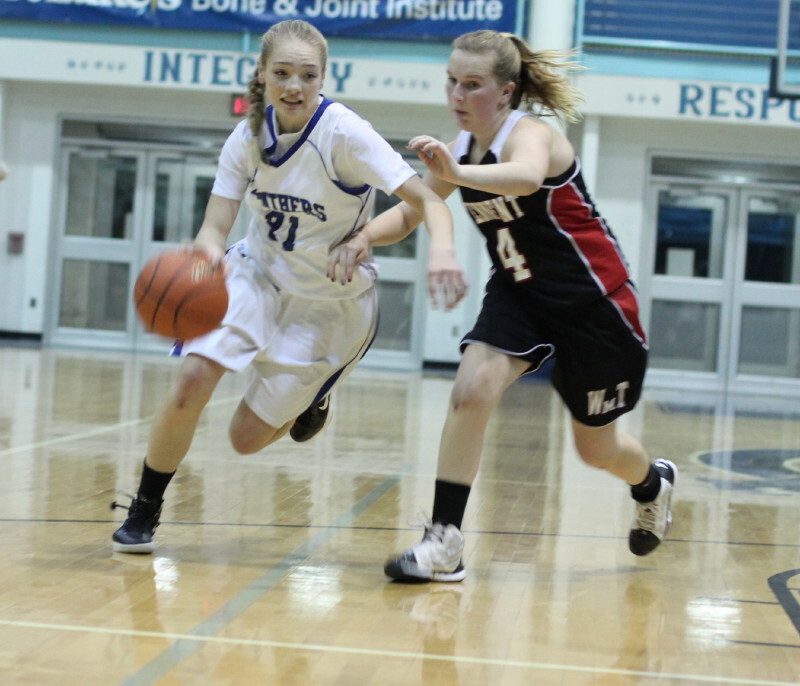 Q’Town’s deficit was twelve (37-25) with two minutes to go in the third quarter. WT, however, scored all the points in the next 4 ½ minutes of playing time and this game became a 45-25 blowout with 5 ½ minutes left. The rest of the game featured non-regular players. 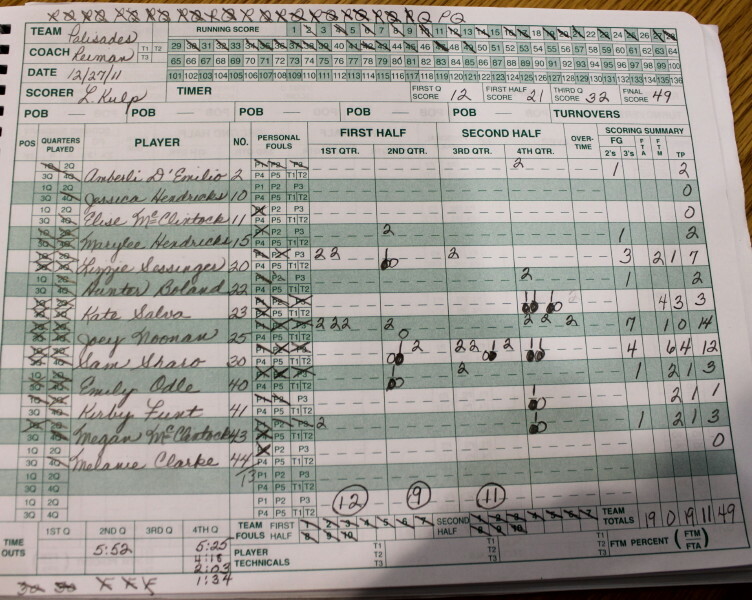 Quakertown was assessed a technical foul during this part of the game when they tried to use a player who wasn’t even listed in the scorebook. Trust me, this miscue had no bearing on the final outcome. Nikki Alden (14), Angie Pomponio (13), and Allison Chatburn (12) led William Tennent on the scoresheet. WT was very unselfish and there were plenty of eye-catching assists setting up high-percentage shots. Backdoor cuts and weak-side cuts caught Quakertown napping numerous times. WT was also very effective on inbounds plays in their scoring end. 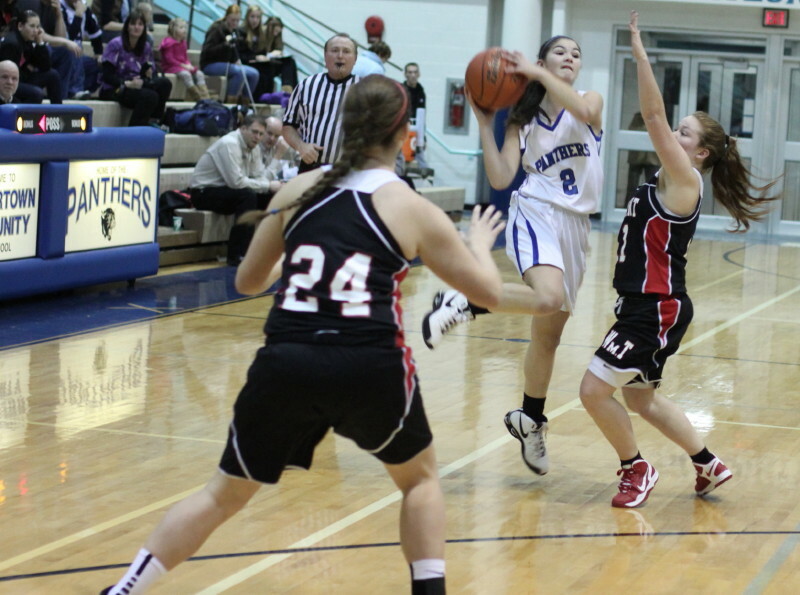 Quakertown stuck with a man-to-man defense and WT screens led to layups. Quakertown was impressive early on. 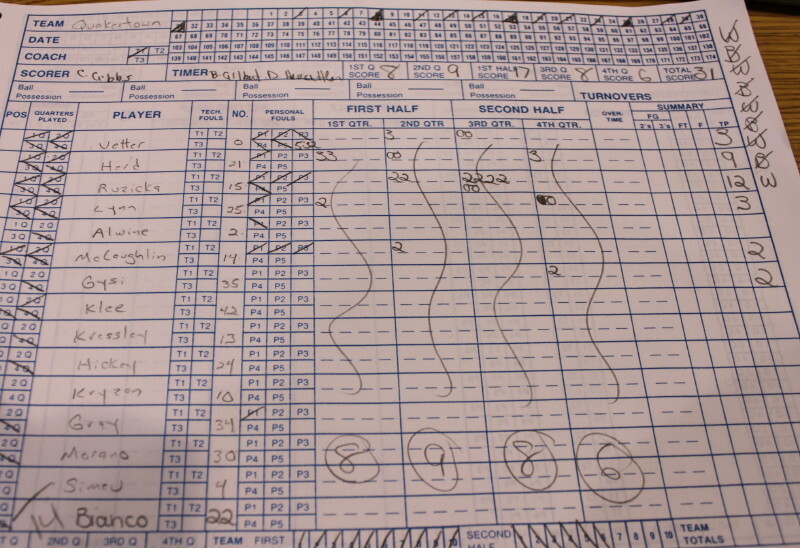 They made three’s and actually led, 11-9, one minute into the second quarter. Freshman Taylor Herd had two long ones and senior Kathryne Vetter added another one. Unfortunately, those three 3’s would be the only ones the host team would get in the game, although quite a few others were launched. When the outside game deserted Quakertown they were in big trouble against a team playing well on both ends of the court. WT took the lead for good, 12-11, on a three by Angie Pomponio. That would be WT’s only three. 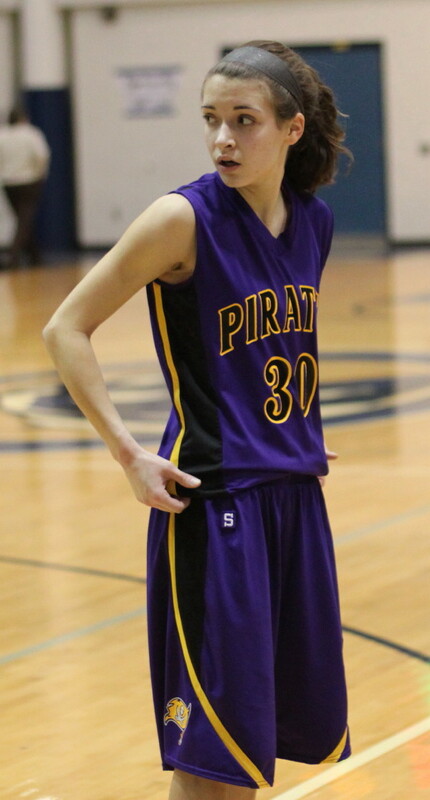 William Tennent full-court pressure caused several pick-two’s. 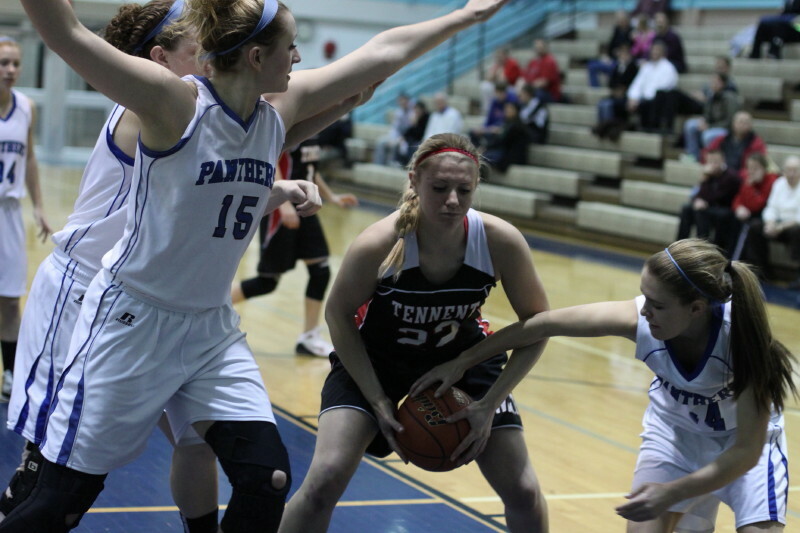 However, it was in the half-court that Quakertown was most effected by WT pressure. By my unofficial stats, WT forced twenty turnovers. 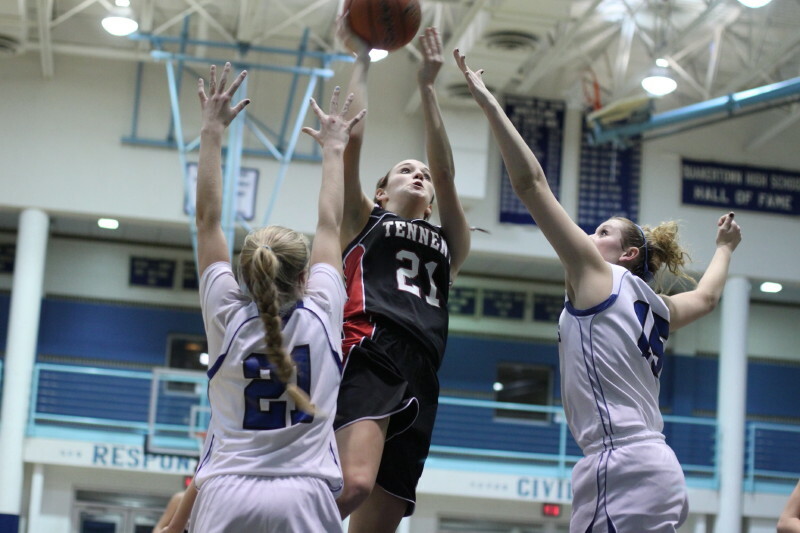 Ashlee Ruzicka (12 points) led Quakertown in scoring getting eight of them coming in the third quarter. 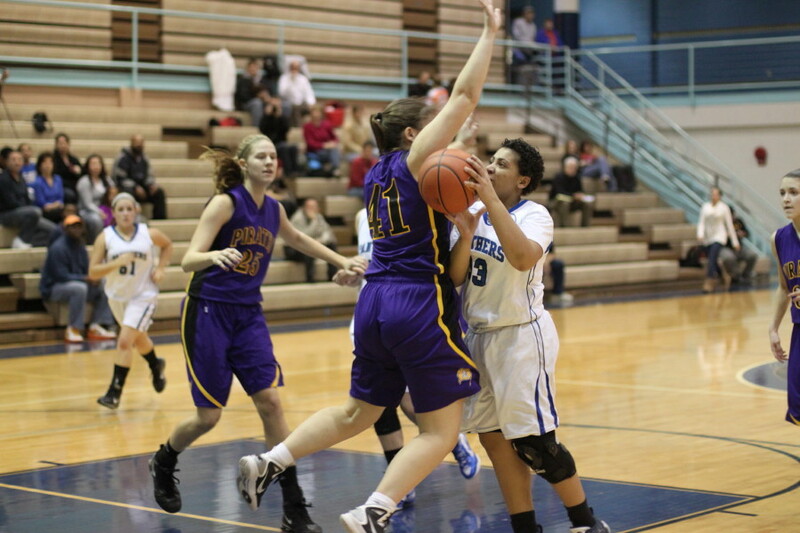 She was a force inside but Q’Town had trouble getting the ball inside to her. WT separated from Q’Town with nine unanswered points in the second quarter. Baskets by Nikki Alden, Ally Fenner, and Allison Chatburn plus free throws by Nikki (two) and Ally (one) did the damage and turned a 14-13 close game into a ten-point (23-13) WT advantage. The decisive surge in the third quarter, when WT pushed a 23-17 halftime lead to 33-19, was engineered by Nikki (layup and two free throws), Angie Pomponio (layup), and Allison (two baskets). This spurt turned out to be the one that Quakertown didn’t recover from. I was impressed with the improvement of Quakertown from last season. The recovery from injury of Kathryne Vetter and the addition of freshman Taylor Herd have significantly upgraded Q’Town. Credit the WT defense. They were well aware of both Kathryne and Taylor and there were very few good looks for either of them. I recall seeing Ashlee Ruzicka last year playing with one knee brace. Now she has two. 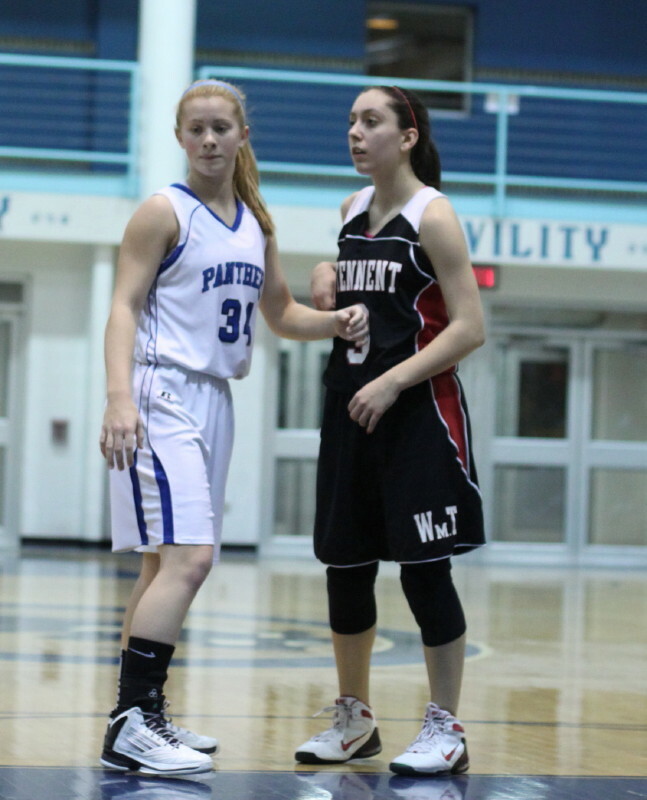 I was impressed with the organization of WT on both ends of the court. The team concept was in play in both areas. 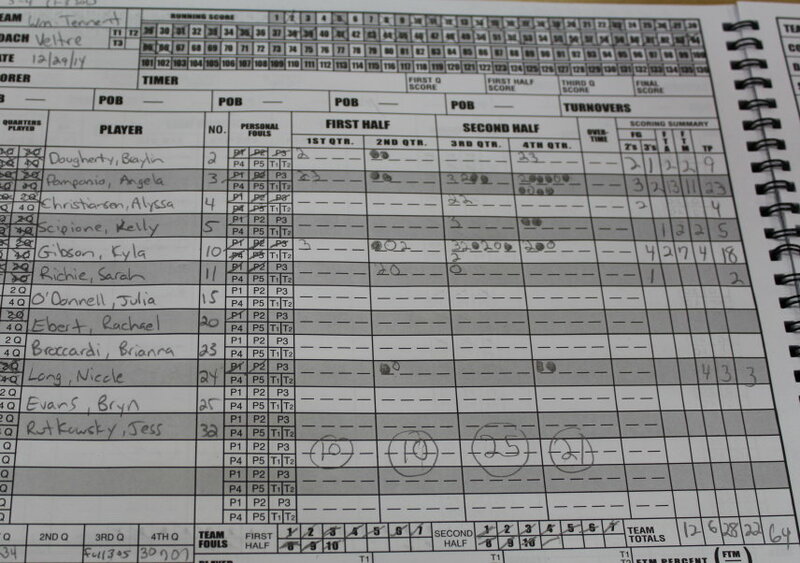 Good shots for them and tough shots for Quakertown were the results. 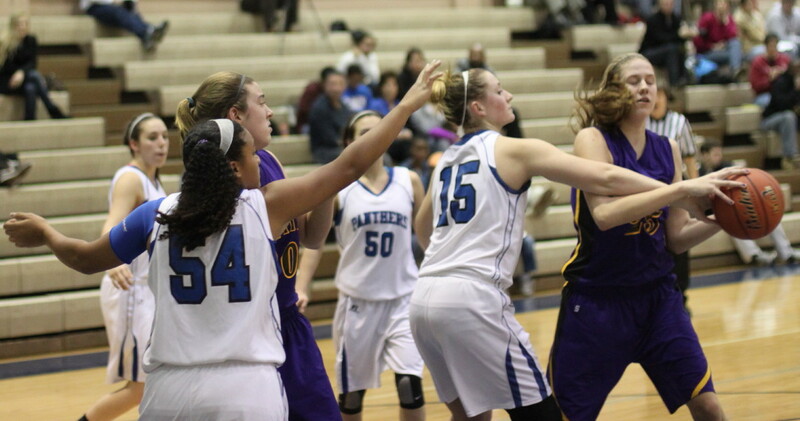 Kathryne Vetter fouled out with over five minutes left. 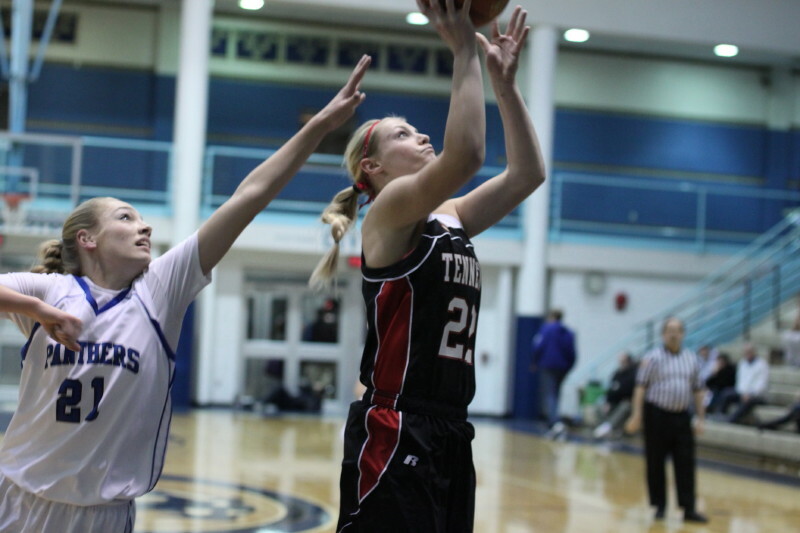 She was held to three points by WT after getting twenty-one points in the opening round of the tournament. Most of the basketball games I see (Massachusetts) are played with a shot clock. 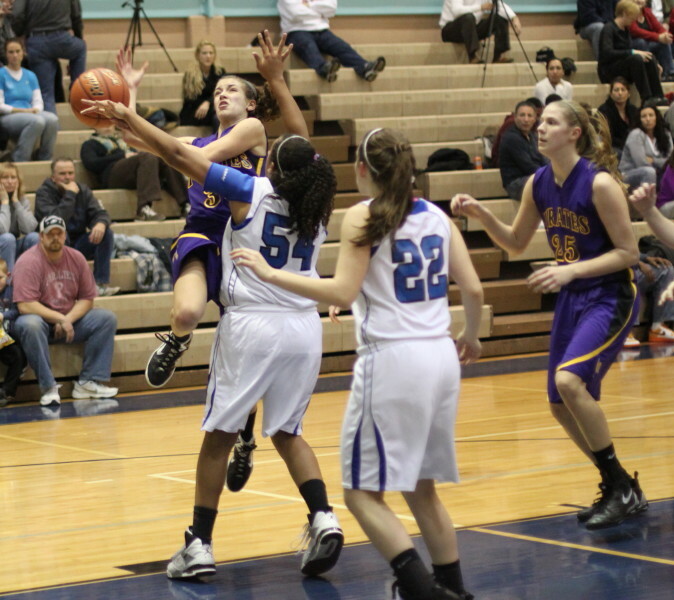 There is no sitting back in PA games waiting for the shot clock to help you get the ball out of an opponent’s hands. Being able to create pressure and handle pressure are absolute musts in PA.
Ashlee Ruzicka (15) tries to deny pass to Joey Noonan. 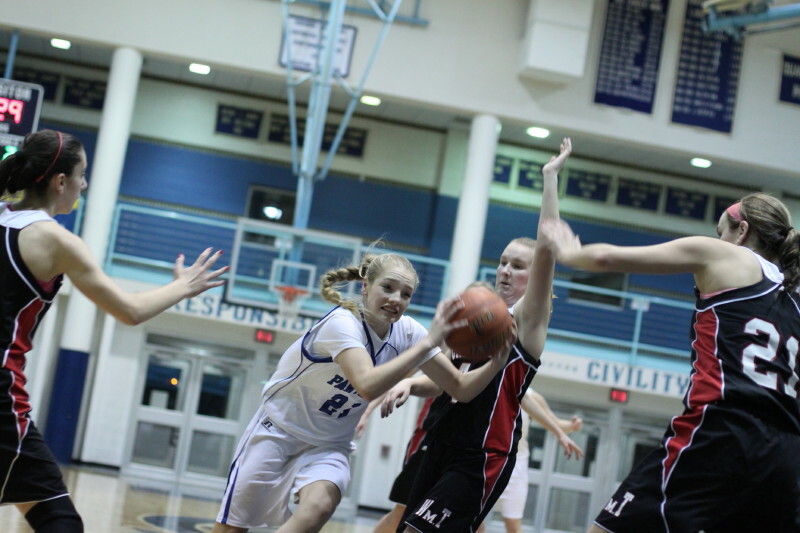 (Quakertown) Winless Palisades blew open a close game in the second half and decisively defeated Quakertown, 49-26, in the opening round of the Quakertown Christmas Girls Basketball Tourney on a rainy Tuesday night. This game was hardly decided four minutes into the third quarter when two Ashlee Ruzicka free throws cut the Pirate advantage to, 25-21. However, the next seven minutes stretching into the fourth period did in the Panthers. It sure didn’t help them to have three of their best players (Brittany Taylor, Katie Kelsall, and Monica Ervin) foul out during this segment. The loss of these players was most noticeable on defense. 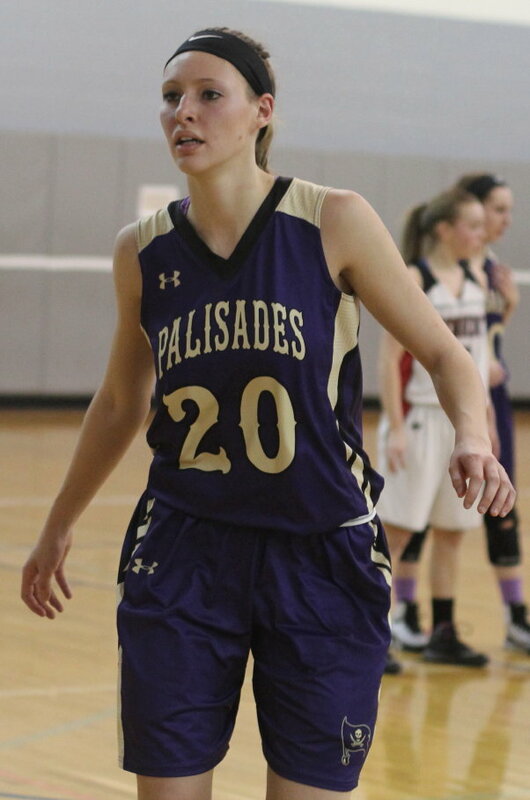 It took Palisades (1-5) twenty minutes to get their first 25 points. Over the next seven minutes they poured in 16 points turning this game into a 41-22 blowout with just three minutes left. 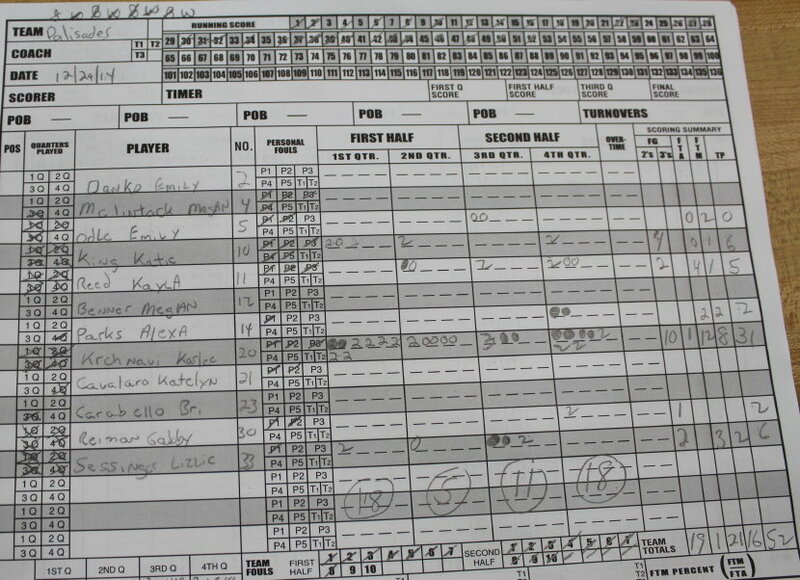 During the memorable run of Pirate scoring there was a lot to like for the folks from Kintnerville. 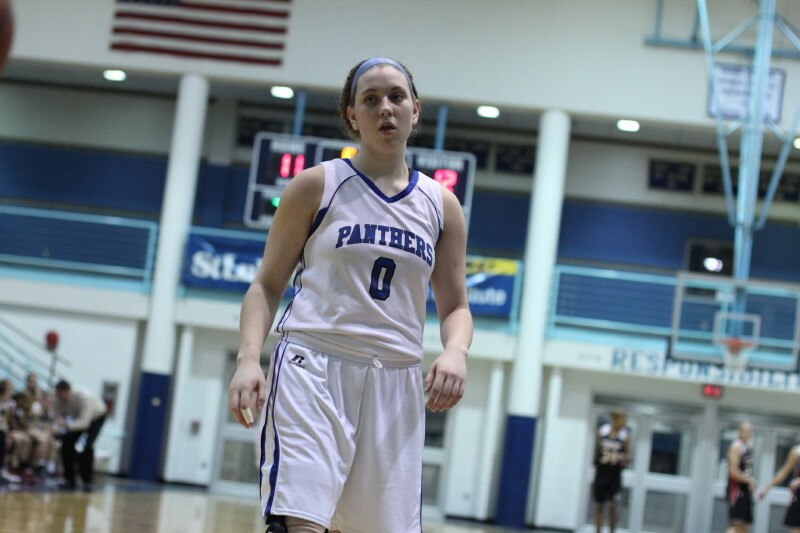 The Panthers overplayed 6-2 Joey Noonan on an inbounds play and that left Emily Odle all alone for an easy layup. 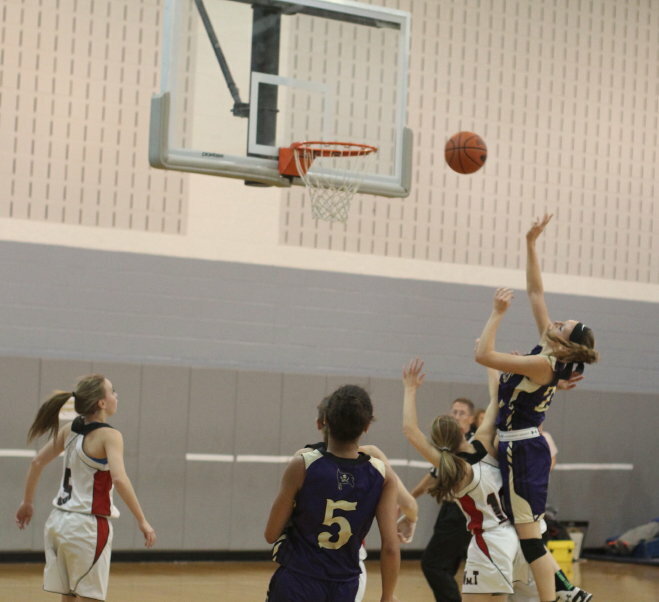 Joey was on the layup end of nice passes from Katie Salva and Kirby Funt. 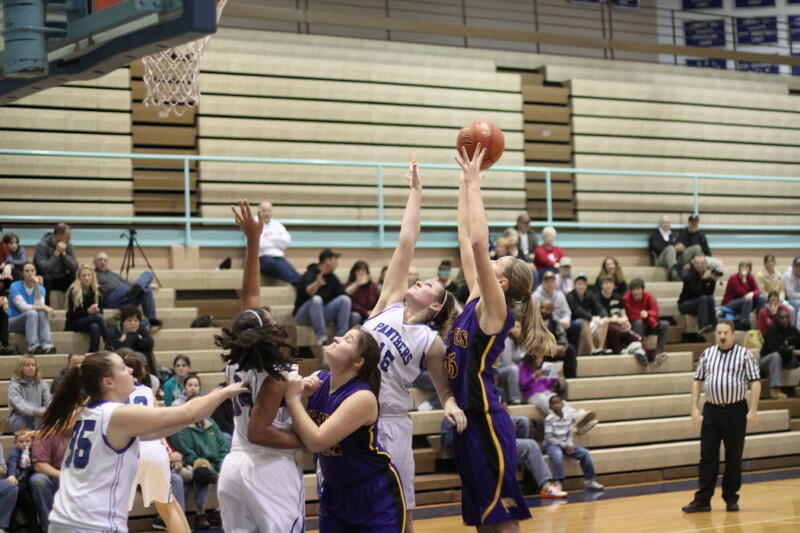 Lizzie Sessinger made a layup just before the end of the 3rd quarter fed nicely by Marylee Hendricks. 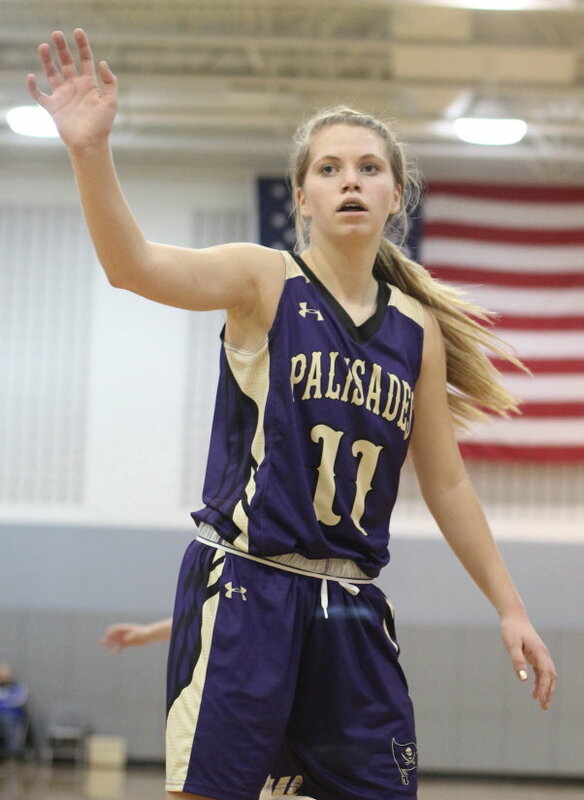 When all this dust cleared Palisades had put together a 16-1 run to build up a 41-23 spread. The reserves from both squads carried the action the rest of the way to a 49-26 final. Sophomore Joey Noonan led all scorers with fourteen points. Samantha Sharo added twelve. 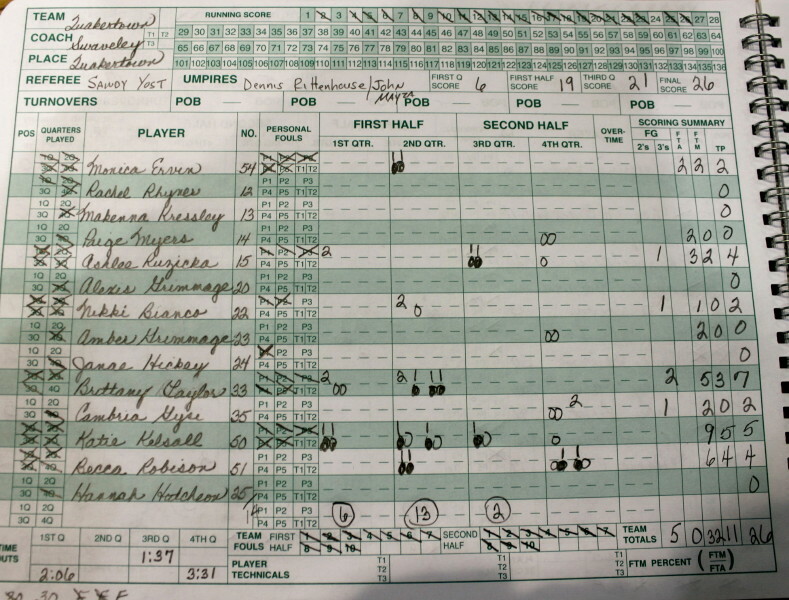 Brittany Taylor topped Quakertown with seven points despite fouling out with 4:26 to go in the third period. Down the other end the Pirates were very intent on getting the ball inside to Joey Noonan. Credit undersized Ashlee Ruzicka for keeping Joey from doing too much damage. The defense that worked the best for Quakertown (1-5) was a zone that they used in the second quarter. Denied the inside the Pirates struggled from the outside. Quakertown was able to turn a 16-6 deficit early in the 2nd quarter into a much more manageable 21-19 deficit at halftime. The Panthers hit 9-of-12 free throws during that second quarter. Freshman Marylee Hendricks injured a knee at the start of the final quarter and came back later on crutches with an icepack on her knee. Quakertown has one senior (Katie Kelsall) while Palisades has two (Amberli Delimit & Kirby Funt). I was surprised to see another photographer roaming around taking pictures of players DURING the National Anthem. Maybe this game was nationally televised?